Dealing with negative comments is no easy task. It makes my anxiety kick into high gear and makes me question how I feel about myself. I need to remind myself to breathe and realize that the comments don’t reflect how they feel about me but how they feel about themselves. The past few days i’ve had a few people utter the F-word about things I have posted or done. I posted an unpopular opinion puffins meme from mindyourowneggs on instagram that read “I’M TIRED OF PARENTS COMPLAINING ABOUT HOW TOUGH IT IS TO RAISE CHILDREN” and at the bottom of the image it read “NO ONE FORCED YOU TO HAVE KIDS.” It prompted a flurry of messages on instagram from an Autistic Mother with an Autistic Child who took it to heart. As a societal-whole, we make choices and need to deal with the consequences of our actions. It continued on twitter with more messages towards me, essentially discrediting me as a “small time activist” amongst other things. I have been incredibly vocal about my Childfree stance and I do frequently worry about the sad state of our planet. My opinion encompasses all those feelings and I don’t want people to think I am specifically targeting parents of Autistic Children. I posted that meme as a blanket statement. 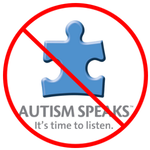 I can’t say that I have much in common with parents of Autistic Children, because I don’t. When I speak, I speak from my heart. Entirely based on my experiences. Clearly, this doesn’t go over well with everyone, but those who have chosen to support me are people I would like to thank for giving me strength to get by. If anyone wants to believe that seeking out allies on social media platforms, by sharing this story, is a negative or “schoolyard” tactic, so be it. Childfree Autistic Adults do exist. We may be going against the grain of what society wants or expects from us, but we are just as valid. There’s many things about myself I wouldn’t want to duplicate and therefore being Childfree has always been the best choice. How would I benefit from hearing people complain about a choice I have consciously decided not to make? I can’t provide any insight other than saying “Well, you made this choice.”, I can’t. There’s honestly nothing else I can possibly say to satisfy a parent. I still care about the rights of Autistic People as a whole and with that being said, I do what I can with my Childfree stance intact. There are facebook groups for Childfree individuals. There are instagrams, twitter accounts, websites, even Childfree Cruises and the Not-Mom Summit. A community which thrives. I’m not going to stop doing what I am doing because one person thinks I need to be a certain way. It’s the most depressing time of the year! It’s almost Christmas. I wish I could fast forward to December 26th. The bombardment of ads, trying to get me to buy presents gets increasingly harder to ignore. I’m constantly reminded of how the holidays are apparently not about consumerism and all about family time spent together. I feel as if so much of that is a lie. I have to do so much masking to feel okay. Inside, i’m stressed out, anxious and feeling like seasonal affective disorder includes Christmas. We celebrated Chanukah. It wasn’t until my Mom met my late Stepdad that life changed and we suddenly had a tree in our house. That was weird for me. The most festive thing I do is making my own holiday cards for family and friends. I do not buy gifts for various reasons. There’s still a sense of guilt and uneasiness when I receive a gift. I never feel like my card is substantial enough. Malls are something I avoid for all the right reasons. I especially wouldn’t step foot in one right now — although, my emails keep reminding me I should GET ON THE CONSUMERISM TRAIN AND SHOP, SHOP SHOP! Old Navy emailed me today and said “( ❗ ) THE ENTIRE STORE IS ON SALE ( ❗ )” Yeah. No. I’m good. I’m pleased i’ve been able to separate myself from the corporate/retail world. I think that provides me some relief. There’s a sense of freedom I gain in which I can deal with the holidays because i’m not selling anything to anyone and with that comes not having to succumb to the annoyingly repetitive nature of Christmas music. I’m not surprised that “psychopathology tends to increase around the holidays”. Christmas is 15 days away! I know i’ll have to sit through meals that will make me feel like I will want to isolate myself at home and sitting on the couch with my cats. I’m not trying to make excuses for myself because I know it’s good for personal growth to do things that make you uncomfortable, but honestly? Seeing big pieces of animal protein on the table with really odd, pungent smells and being the centre of conversation with nothing for me to eat is frustrating. I usually bring my own food but beyond that I never know what i’m supposed to do. Maybe sitting at the table awkwardly, listening to the sounds of cutlery, chewing and sparse, topical conversation is just what the holidays are and will always be. I try to get distracted and in my own head. Mentally, i’ve already left the table. Next year can’t come soon enough.